I'm only HUMAN... 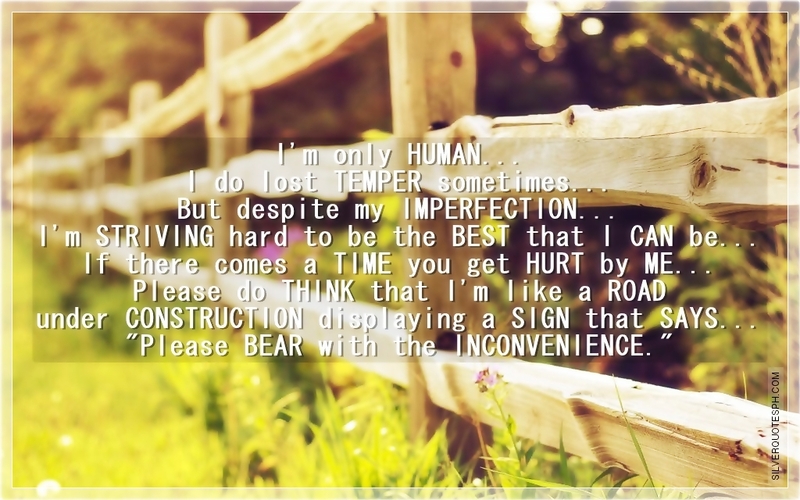 I do lost TEMPER sometimes... But despite my IMPERFECTION... I'm STRIVING hard to be the BEST that CAN be... If there comes a TIME you get HURT by ME... Please do THINK that I'm like a ROAD under CONSTRUCTION displaying a SIGN that SAYS... "Please BEAR with the INCONVENIENCE."